Serena Clark is arguably the biggest name returning in the sprints as she comes in with the top marks in the 60 and 200 meter dash respectively. After chasing Abby Steiner all year in 2018, it's finally Clark's time to shine in D1. Her 7.60 best mark in the 60 dash - which she ran in both prelims and finals at last season's state meet - is .09 seconds ahead of the next closest returner and makes her one of only two girls in the entire state under 7.7 seconds. After taking second to Steiner in last March's 60 dash, she finished second in the shortest sprint again outdoor with an 11.80 clocking. Her fastest wind legal time was 11.72, but she did run a wind-aided 11.66. Clark was third in last spring's 200 dash, but returns as the top athlete in that event, as well. Her 24.67 time sits .05 seconds ahead of long sprints star Jaydan Wood. Both girls ran those marks at the state meet. Outdoor, Clark turned in a blazing fast 23.97 (wind legal) personal best so she should be the top girl to watch in the short sprints this winter. Only a junior, this could be the beginning of Clark's own state takeover. Just behind Clark in the 60 dash is Jahniya Bowers, the other of the two returning girls in the state under 7.70. Bowers boasts a 7.69 personal best in the 60 and took fifth at last season's state meet. She was sub-7.8 five times - only seven girls return with a sub-7.8 personal best - and never finished worse than fifth. On the outdoor track, she lowered her 100 dash best a wind legal 11.81 and took fifth again at the state meet. Bowers is definitely on the cusp of a top-3 finish this spring. She is also the third fastest returner in the 200, having clocked an impressive 25.02 last February. She was unable to replicate that time at state and settled for sixth, but outdoor she dropped a 24.46 personal best. 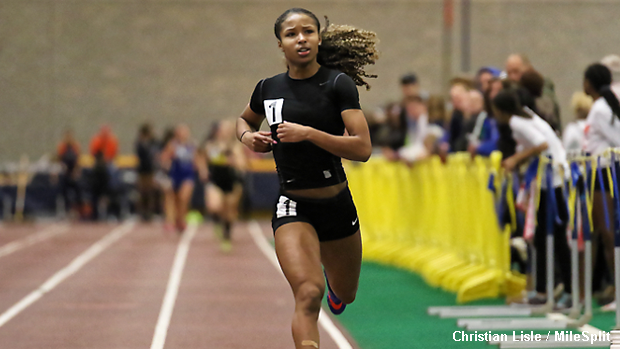 Another short sprints star, Jahniya Bowers will be a contender for individual titles in both the 60 and 200. Jaydan Wood is the only returner in Division 1 with top-8 marks among returners in all three of the 60, 200, and 400 meter dashes. She is also 6th in the 800. Her 400 best 2.5 seconds ahead of the next closest returner. With a line of 7.77/24.72/54.50, Wood is a candidate for the sprint treble. More of a long sprinter, she also holds a 40.19 best in the 300, US No. 5 (among returners) 1:13.87 in the 500, and 2:16.55 800. With this kind of range, it would be very easy to see the kind of breakout campaign that vaults Wood into the national discussion in any of these events. Her 500 personal best is equivalent to 1:33.08 in the 600, which would be fourth among national returners if she decided to jump up to that event. And, as we will note in the distance section, she has the kind of competition in the 800 to make a run at a 2:10 or below mark there. Even if she does stick around with the long sprints (200, 300, 400, 500), watch for Wood to make a name for herself on the national level this winter. Heading into the indoor season, it appears that Nia Robinson is the most formidable opponent to unseat Jaydan Wood in the 400 meter dash. Robinson's returning best of 57.02 may be 2.5 seconds behind Wood's, but she's put together an entire body work that shows she's capable of even more. In addition to that 57.02, she's run 25.42 in the indoor 200 (fourth among returners) and went 55.74 in the outdoor quarter mile, placing third at the state meet. Watch for the Twinsburg senior to make a run at the title in both the 200 and 400 this winter. After two top eight finishes at last year's state meet, Hooks enters this season as a top five candidate in both the 60 and 200 dash. She returns with personal bests of 7.76 and 25.55, both coming at the right time (early March). 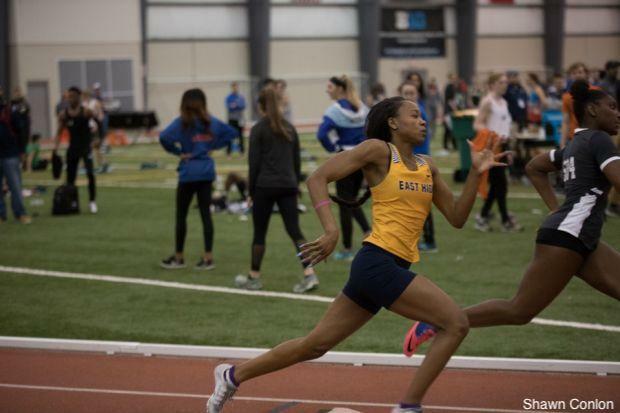 Her outdoor season was light this spring, but that won't deter us from calling her one of the top combined short sprinters to watch heading into indoor. 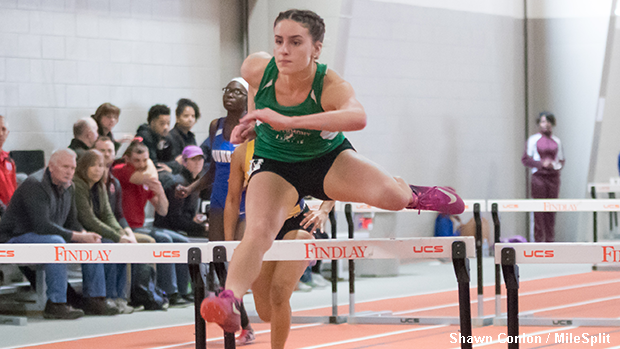 Coming off her sixth place finish at last year's state meet, Leila Hill returns as the favorite to take the crown in the 60 hurdles this winter. 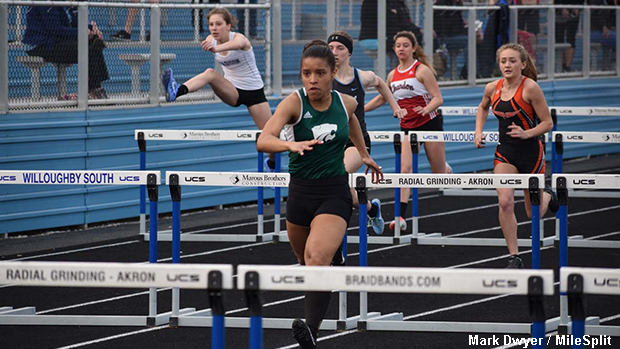 Hill hustled over the hurdles in 9.21 seconds last March and holds down the top spot among 2019 returners, .04 ahead of the next closest girl. She was stronger in the longer hurdles this outdoor season, breaking 44 seconds in the 300 hurdles en route to a 6th place finish at state, but that shouldn't take away from her strength in a straight line. She'll be the one to beat this March. 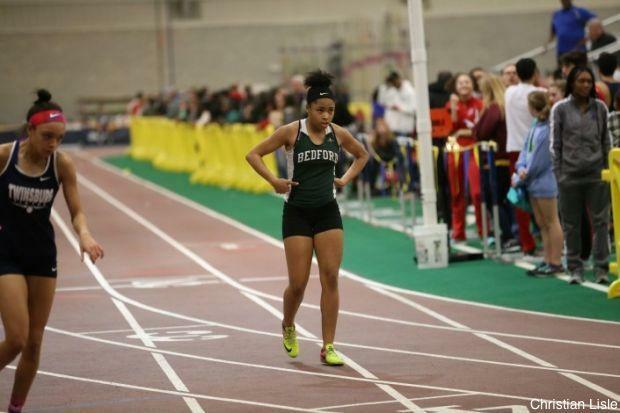 Arguably the top combined short sprinter among the Class of 2021 in the entire state, Kaira Granger returns with the fourth fastest 60 dash in Division 1 and a respectable 26.34 in the 200. Outdoor, she dropped a wind legal 12.16 in the 100 and dropped a second off of her 200, running 25.30. Granger has a few girls with whom she'll compete over the next few years, but she'll try to create some separation this indoor season. 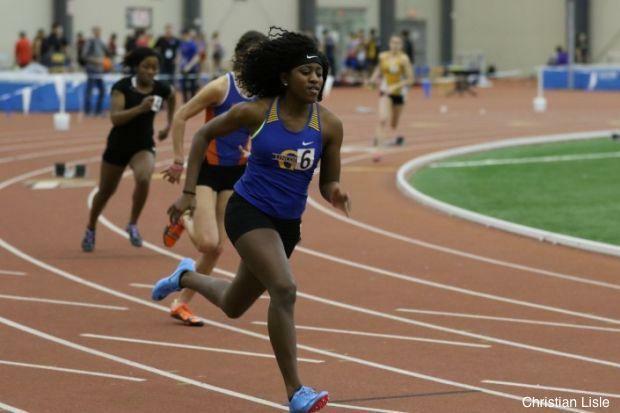 Gahanna Lincoln's sprint squad is simply unfair right now and Joi Bradley appears ready to make sure that stays true for the next few years. She's been a big part of their success in the hurdles so far, but may make some serious noise in the individual events this winter. Bradley finished 11th in the 400 at last March's state meet and returns with a 59.04 best in the 400 and 26.48 200 mark. After finishing seventh in the 60 hurdles, Conti went outside and dropped a wind legal 14.79 in the 100 hurdles, securing the third fastest time among returners in that event. 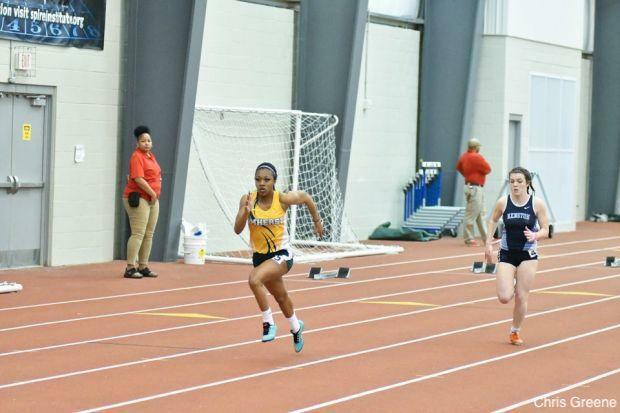 Indoor, though, she is the second fastest returner, a mere .03 seconds behind Leila Hill. Conti could be gearing up to take over the indoor hurdles scene so stay tuned. Serena Clark's 7.60 makes her a clear favorite in the race and already makes the 60 dash one to watch to see if she can roll even faster than Steiner did last season. But behind her is a slew of stellar girls who all could finish anywhere from second to eighth. 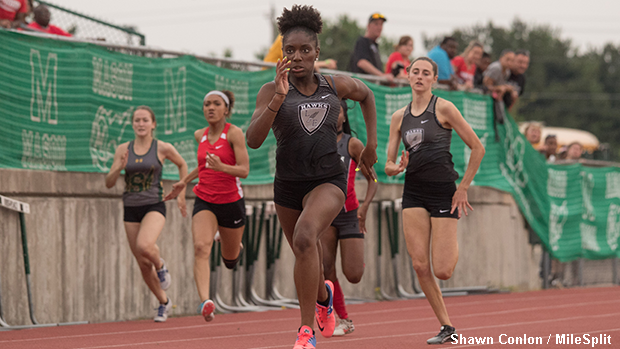 Most of them we've already mentioned, but Lakota East's Kaylyn Heath returns as the third fastest competitor, having run 7.74 last indoor campaign. Paige Floirea, who will pop up in our jumps section, finished out her freshman campaign in 7.80. 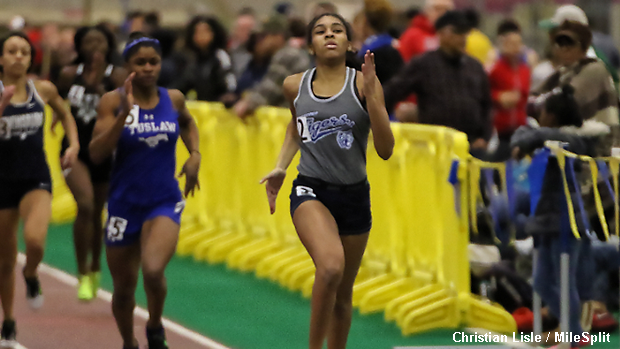 With six girls within .06 seconds and Jahniya Bowers at 7.69 just ahead of those six, the 60 dash will surely be an exciting one to watch.